Xanthoria parietina? unidentified tree covered! Observation - Xanthoria parietina? unidentified tree covered! - UK and Ireland. Description: Yellow/orange foliose lichen covering tree.On close look had eye spores. 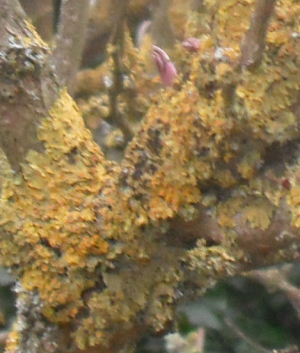 Yellow/orange foliose lichen covering tree.On close look had "eye spores".